Nintendo Wii 2 to pack Blu-ray? 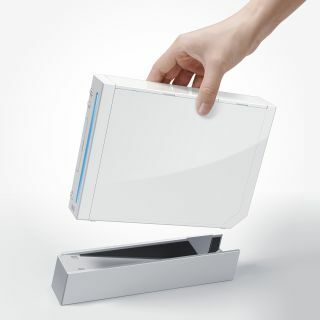 Nintendo's second-generation Wii console will come equipped with Blu-ray, with new reports suggesting the updated console will hit shelves in 2010. Gaming website Maxconsole.net believes it has got hold of some leaked information which details just what hi-def goodness the new Wii will house. The info was allegedly leaked by a Nintendo of France marketing employee, who suggests the new console will have a Blu-ray drive and will support 1080p games and movies. If this is the case, then it means that Microsoft's Xbox 360 will be the only console on the market not to pack in a Blu-ray drive. But, rumours also suggest that a Blu-ray add-on for the Xbox 360 may be on its way. Maxconsole.net is also reporting that Nintendo CEO Satoru Iwata noted is a recent press briefing that Nintendo would likely make use of HD in its next Wii console update.